As a kid, I never tired of giving gifts. Each Christmas I would make a list of everyone in my family and begin brainstorming ideas for Christmas gifts. We’re talking grandparents, aunts, uncles, cousins, everyone! Naturally, the result of this was that I spent all the money I made throughout the year from my lemonade stand and bake sales on my family at Christmas. I loved doing this! On occasion, my mom tried to remind me that as a kid, I was not expected to get every single person in our entire family a Christmas gift. Because I loved giving gifts, I kept at it year after year. Sadly, though, somewhere along the way, whether it was during my teen years or as an adult, I began losing my fervor for giving. Rather, I turned my focus to tasting the delight of receiving. It wasn’t that I’d never enjoyed receiving gifts, but giving had always been more enjoyable for me. I started dreaming of all I wanted to receive for Christmas, or what I wanted to buy myself. Eventually, I began feeling as if I just didn’t have enough money to go around anymore. Over time, I began believing that in order for me to receive everything I wanted, I would need to hold back money for myself. I’m delighted to share that, although the shift from giver to receiver was a big one in my life, our great God is nothing like me! This unrestrained generosity is what I am most reminded of when reading the beautiful words of John 3:16. 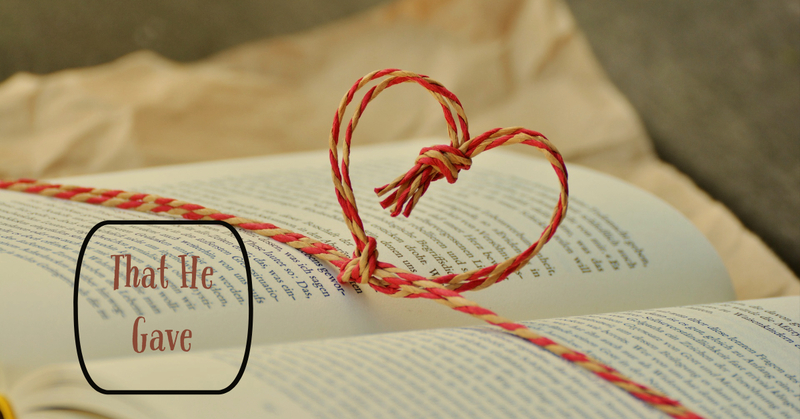 What do these passages tell us about the giving heart of God? up on our behalf. He sent Him to earth as the only possible perfect sacrifice, paying our penalty for sin which is death. 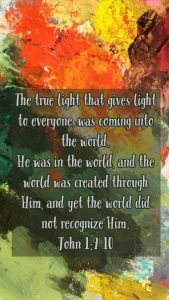 While God the Son took our sin upon Himself, it was necessary for God the Father in His holiness to turn His face away, forsaking the Son. Imagine the pain! The broken unity which had eternally existed! Gifts always come with a price tag. Sometimes it’s giving up what we own, but often it means parting with our money in order to give a special little something. God the Father paid a heavy price in order to give us the gift of His Son. He paid the price of fellowship with His much-loved Son, that we might benefit from His sacrifice for all eternity. True generosity, always puts someone before self. 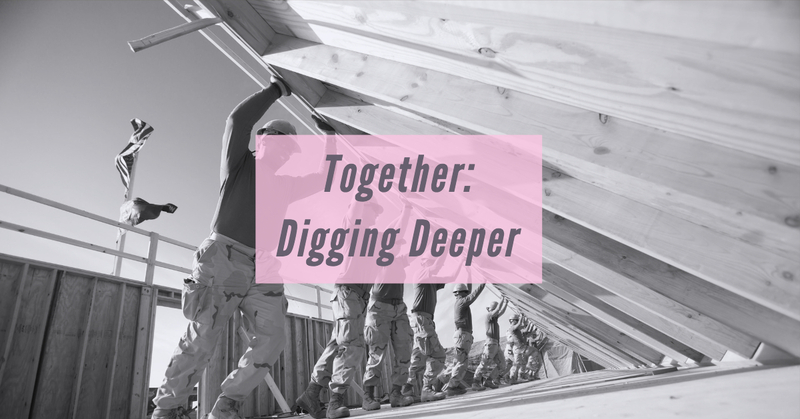 God as Father, Spirit, and Son collectively counted the cost of breaking their unity and taking on the consequence of sin for us. God cared more for us, our opportunity to spend eternity with Him, and our freedom from sin and death, than He cared for Himself. What a powerful representation of the depth of His love for us! That which stands in the way of us living out sacrificial generosity in everyday life to others as Jesus modeled is pride. Pride says it’s all about me, my happiness, my needs, and my recognition by others. 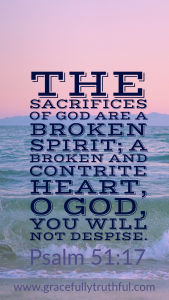 All throughout the Bible we read of the destruction that pride and selfishness brings. David went after another man’s wife. Judas betrayed Christ in exchange for 30 pieces of silver. Jonah desperately attempted to flee from God to avoid preaching redemptive forgiveness to his enemies. Pride is nothing more than the complete opposite of love. To shower upon others the love of Christ just as it has been lavished upon us requires a willingness to lay down our dark, disgusting sin of pride that we might take on the posture of humility, love, and sacrificial generosity. Plain and simple, we don’t deserve the gift of Christ. But our Lord God loves us so incredibly much that, in the midst of our not deserving Him, He still chose to give us the gift of Christ. If that won’t fire you up to give the gift of love to someone today, I don’t know what will! Thanks for joining us today as we journeyed into Gospel Week Two! Don’t miss out on the discussion below – we’d love to hear your thoughts! 1) Who authored this passage, to whom was it written, and what was the author’s purpose in writing? 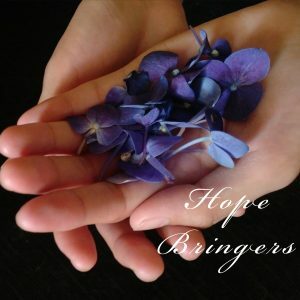 2) What is the hope of the believer? 3) According to this passage, how does one please the Lord? 9 And so, from the day we heard, we have not ceased to pray for you, asking that you may be filled with the knowledge of his will in all spiritual wisdom and understanding, 10 so as to walk in a manner worthy of the Lord, fully pleasing to him: bearing fruit in every good work and increasing in the knowledge of God; 11 being strengthened with all power, according to his glorious might, for all endurance and patience with joy; 12 giving thanks to the Father, who has qualified you to share in the inheritance of the saints in light. 13 He has delivered us from the domain of darkness and transferred us to the kingdom of his beloved Son, 14 in whom we have redemption, the forgiveness of sins. While Paul was in prison in Rome he was visited by Epaphras, the church planter for the house-church in Colossae. He was a convert to Christianity because of the faithful preaching of Paul the apostle likely when he was in Ephesus (Acts 19:8-10). Epaphras relayed to Paul how the Colossian church was believing heretical teachings. The believers had adopted “extra practices” such as self-made rules, discipline of the body, visions, and “special knowledge.” The Colossians believed that by doing these things, they could increase their godliness. Paul wrote to reinforce the foundation of the gospel and to correct heretical beliefs contrary to truth. He also encouraged them for their love for others and for spreading the gospel. The hope of every believer – their source of confidence – is in the promises of what God will do in the future because of what He did in the past by sending Jesus as fulfillment of prophecy. Christ willingly laid down His life as an atoning sacrifice for us as sinful beings incapable of attaining right standing before God on our own ability. This hope is secure for many reasons, but one way we can know God is faithful to His Word is because past promises have come to fruition, none as wonderful as the promise of a Savior, our Lord Jesus Christ. Because Jesus ascended to heaven after His resurrection (Acts 1:10-11) and He intercedes for us there (Hebrews 7:25), our hope is currently “laid up in heaven” (Colossians 1:5). The Lord’s pleasure delights over us first and foremost because we, as believers, are His. 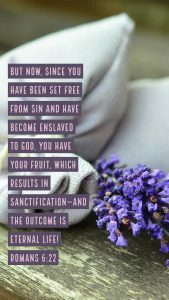 He sees His righteousness clothing us and has removed our sin from us if we have truly surrendered the will of our hearts to Him. He will never love us more than He already does and He cannot love us less. A life that honors this radical gift of love is a life submitted to His ways, His instruction, and His law of love. 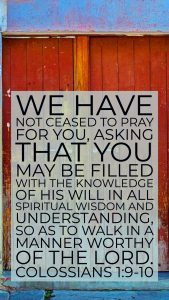 Here, Paul says “walk(ing) in a manner worthy of the Lord” and honoring Him begins by looking full into Scripture, taking in understanding and growing in our knowledge of Christ. As an overflow of God’s living and active Word working in our hearts and renewing our minds, the Spirit will grow His fruit in our lives through every good work. We cannot bear fruit without this intimate, growing understanding of Christ! Without regular, consistent intake of Scripture, we cannot be shaped to be more like our Savior! This is HIS work, not ours. Our responsibility is to submit to His path of growth. Throughout the Bible, it is evident that people, even those who profess trust in God, have been tempted to deviate from pure faith. In Israel’s history idolatry and legalism are clearly seen (Exodus 32:1-8; 1 Kings 11:6-8; Matthew 15:1-9). Today’s Christianity often becomes watered down or manipulated to be more pleasing to the average church-goer. Facets of other global religions have also been accepted. Jesus wants our whole hearts, sisters, so we need to be in the Word, applying the Word to our lives, and we need to be discerning about what we allow to influence us and our families. A life that pleases and honors the vast love the Father has deposited into every believing heart is one that daily, regularly submits again and again to the Lord’s rule instead of our own, fleshly desires. As Paul urges in Galatians, “Keep in step with the Spirit!” The more we become practiced at reading His Word, being still, and listening to His leading, the easier and more natural it becomes to do exactly that. Die to our sin nature, remember it has been crucified with Christ and no longer controls us, and remember again and again that we have been made alive in Christ! It’s His rule that reigns in our once dead hearts! Obviously, Our Father is most pleased when we live out His design for us, dancing in the freedom He purchased for us. Ladies, if you can honestly say that you haven’t been pleasing the Lord by honoring His rule and reign, the wonderful thing is that you can ask Him for forgiveness and go to Him for help. He doesn’t leave us to flounder…He’s always just a prayer away. This is Anchored Week One! The chaos screamed louder with every shrill screech of my 3-year-old. He flung his body violently backwards despite my attempts to hold him. My water cup flew as his foot knocked it from the counter, its crash adding to the epic disaster of my kitchen. I was exhausted, frustrated, and knew I was quickly losing it. I was too far behind, in too many things, the hurricane wave-like pressure to be more than I was, crashed down on me fast. The whisper in my heart offered an oasis, cool water in the tornadic fury of my hot emotions. No, it wasn’t an audible voice, but it was one I had been learning ever more steadily to listen to. It was the voice of One who loved me, who delighted over me, and in that moment of supreme chaos that bordered on insanity, He called me away. Not to remind me of the important things I hadn’t done yet. Not to chastise me for being angry. He called me to come away. I obeyed the voice of my Savior. Gathering my still shrieking preschooler, I turned a blind eye to it all, and with laser focus on the face of my Jesus, I ran upstairs, not caring in the slightest who called out after me for more snacks. I knew exactly where I was going. As I hurried through my still messy bedroom, I grabbed my “pretty candle”, the one no one is supposed to touch, and a hidden matchbox. By the time I shoved my closet door closed behind me and the darkness quickly enveloped us, my little boy was still mad, but intrigued. I struck the match, breathing in the acrid scent, my soul already quieting. I knew Who was waiting for me and Whose presence I was entering. “Look! Look!” I whispered to my dry-sobbing boy. His eyes wide, tears gone, I held him as I began praying simple phrases. I had learned that here, in the silence and solitude of this meeting place, short phrases packed with truth kept my heart and soul in the moment rather than wandering. Truth anchored me in His presence. Sometimes my words whispered, sometimes they flowed quickly as the Spirit moved, sometimes my tongue was still as I drank in the exquisite beauty of His presence. my soul was swept away by the Supreme Lover of my heart. 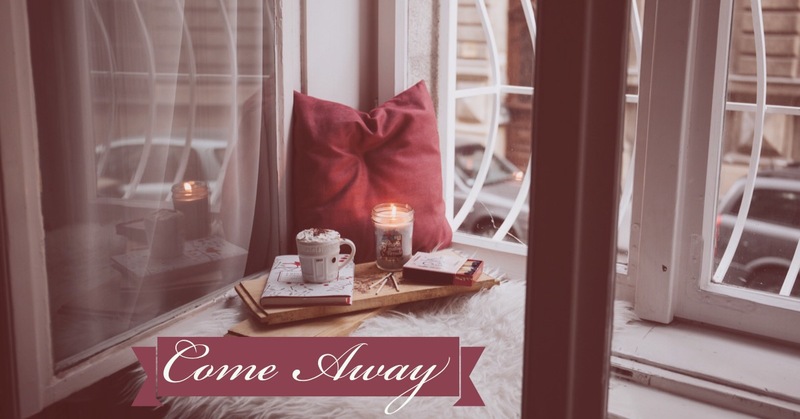 There was no magic in the candle, no extra-ordinary spiritual experience of my closet location, there was simply an invitation to sit in silence and behold Majesty. Time seemed to stand still for both me and my son. Eventually, like every mama-story, a knock beckoned from the other side of my closet door. But my spirit didn’t sag in response, peace pervaded. Joy swept in. Truth anchored my soul as my eyes had re-focused on the Glorious One. The idea of Silence and Solitude as an actual discipline of the Christian walk had never ever occurred to me. Quiet time where you sit and read Scripture, yes. Journaling your prayers and thoughts during quiet time, yes. But no one had ever taught me to practice Silence & Solitude. The discovery literally revolutionized my entire walk with Jesus, taking me from the playful shores of Christianity into the deep-sea dive of intimacy with the Love of my Soul. Practicing regular silence and solitude changed the entire trajectory of my life. I can absolutely guarantee you that where I am today, how I see people, the ministries I’m involved in, and the way I commune with Jesus is a direct result of silence and solitude. After reading selections from Ruth Barton’s book, “Invitation to Solitude & Silence”, I was flabbergasted that I had never heard of this aspect of Christianity and began adopting it immediately. It wasn’t always my closet, it wasn’t always using a candle, but those became my favorites. 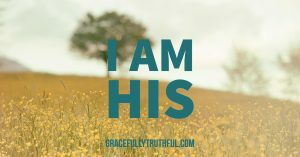 I’ve shared intentional silence with the Savior, glorying in His presence, in my car before driving to “next”, in my “God Time Chair” as my pen has stilled and all else fades as I simply sit with Him, listening and responding to His Spirit, or in bed before I fall asleep. 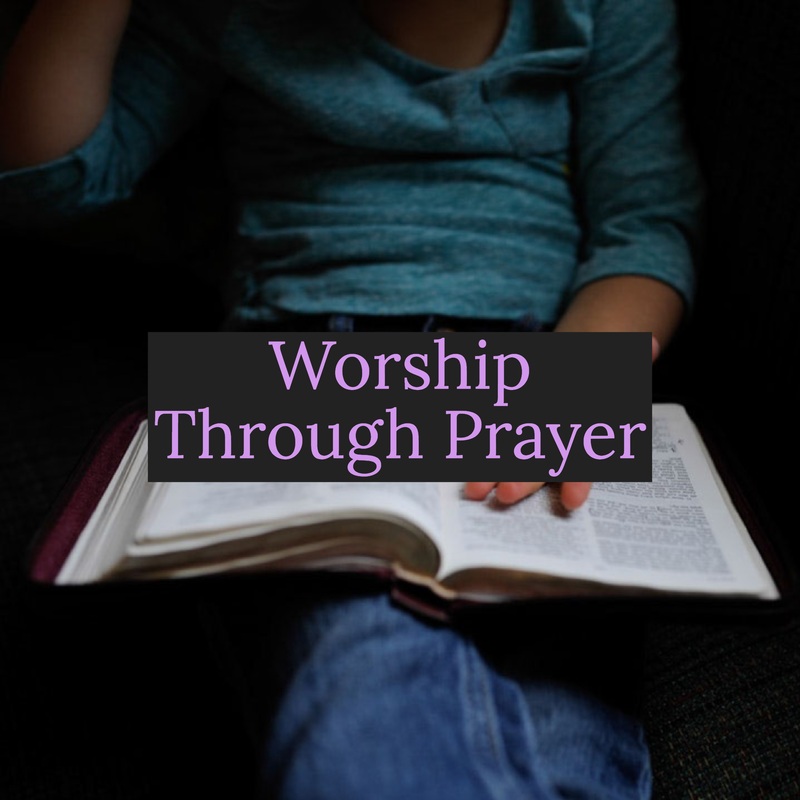 This isn’t just being quiet and restful, it’s intentional prayer-focused intimacy as we are drawn in to deep worship! In words on paper, it’s utterly indescribable. 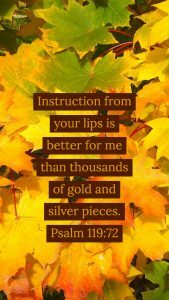 Astoundingly, the invitation comes again and again as He invites me to know Him deeper, delight in Him more intimately, to call Him Abba Father, to sit with tears streaming at His all-surpassing glory, and to live in light of that glorious encounter. Here’s the sweetest thing, Jesus longs for all of this with each of us! It doesn’t matter what your doubts are, how long or how short you’ve believed in Him as Savior, or whether you’ve ever crossed the line of faith in the first place, His invitation beckons right now, right here, in the middle of your crazy, busy, messy everyday life. Will you go to Him?! Thanks for joining us today as we journeyed into Dwell Week Two! Don’t miss out on the discussion below – we’d love to hear your thoughts! Here’s a link to all past studies in Dwell! 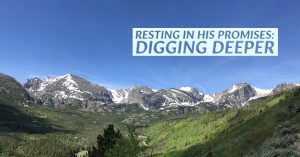 Check out Resting In His Promises! 1) How can the psalmist possibly say, “I will always keep them”? Surely, even the psalmist couldn’t keep all of the God’s commands. 2) What is significant about the structure of verses 33 and 34? 3) What benefits does the psalmist list for following God’s ways? Translating words from Hebrew (the original language of the Old Testament) to English is a challenging and critical task. The translations we use for study are extremely important (for more on why, check here!). At Gracefully Truthful, we study with the Christian Standard Bible, which holds tightly to the original words while also working to preserve the original intended meaning or idea. The original Hebrew for the phrase “I will always keep them” is not a direct word-for-word translation because doing so, would not have made grammatical sense. The word translated “keep” originally means “guard, protect, watch over, and preserve”. The word translated “always” originally had the context of a consequence for actions in a positive sense, as in earning a reward, or receiving a solid gain. In entirety, the original meaning would have meant something along the lines of “I will guard and protect them as my cherished reward or gain.” The psalmist most definitely didn’t mean he had the ability to follow every one of the Lord’s laws perfectly, rather that the Lord’s ways were precious and worth holding close, as a reward of extreme value and importance. Both of these verses display a logical if A, then B scenario. If the Lord teaches the meaning (or the pathway, as in showing how to succeed) of His statutes (or ways), then I will cherish them as rich reward and will guard them closely. (verse 33) If the Lord helps me understand and know and experience and grasp His instructions, then I will obey and follow wholeheartedly. (verse 34) The psalmist sets up a natural overflow of what happens in our hearts when we are taught by the Lord and when He helps us understand His Word. The result is delight and a life that is solidly built from a heart that takes pleasure in following the right paths of the Lord. The psalmist finds delightful pleasure in following God’s ways. (verse 35) He receives the deep, rich “life” found only in God and His pattern of living. (verse 37) Reverence, awe, glory to God, and a deepening of intimate relationship between the psalmist and God is built when he sees the glories of the Lord unfolded as a result of following Him. (verse 38) Those are rich rewards for following the way of the Lord, which is revealed through His Word. Studying it, holding it near, being teachable to His instruction, and reaching out for help from God and His Word are all necessary components of finding these sweet benefits. Take a few minutes to consider how you view God’s word. What adjectives would you use to describe it from your perspective? How important would you say studying and reading God’s Word is based on today’s passage? The real question is, how do your actions reflect the reality of what you believe? When it comes to our walk with the Lord, we are exactly where we want to be, because of the choices we have made to be here. If you want to be closer, if you want to know His Word better, if you want to hold His Words as a reward, practice being in His Word. Daily. Consistently. Then watch Him do a great work in you! Reading the Bible can feel daunting and difficult to understand, but it doesn’t need to be. Even better, the Lord God wants you to know and understand His ways. But knowing Him is discovered and experienced when the Lord Himself is our teacher. We can fill our heads with endless learning and theological studies, but unless the Lord, through the Spirit, who uses the Word of God, is our teacher, our learning will be in vain. Podcasts, websites, devotional books, pastors, and Bible teachers can be great resources, but it all quickly becomes “just knowledge” if we are not continually digging into Scripture itself. Ask the Lord to teach, request His help in understanding, and He will build your life on a solid foundation. The Bible is full of benefits to following God’s design for living life, which makes sense as He is the Author of life. In just this short passage, how have you experienced the benefits of delight, abundant life, and intimate relationship with the Lord? Slow down to fully answer that question and then turn it back in praise to the Savior for giving those gifts! If you hunger for more of these benefits with a longing for new and deeper perspectives on them, the pathway to enjoying them is simple: dwell deeply in the Word of the Lord. Catch up with Resting In His Promises! This is Dwell Week One! 1) What does it mean to act justly? 2) What does it mean to love faithfulness? 3) What does it mean to walk humbly with God? Mankind, he has told each of you what is good and what it is the Lord requires of you: to act justly, to love faithfulness, and to walk humbly with your God. 1)What does it mean to act justly? The word act means to perform an activity with a distinct purpose, moral obligation, or goal in view. Justice is a legal term that distinguishes right from wrong. It is a primary attribute of God. It’s rooted in His character and should be reflected in His people. So, to act justly means to choose the right way, God’s way. This is good in God’s sight, and He requires it of us. To love means to desire, to delight in, to be fond of. It implies a strong conviction of the mind and a tenderness of affection at the same time. The word faithfulness is one of the most important words in the Old Testament. It’s often translated as “loving-kindness” or “mercy”. The basic idea is that of an act of kindness, love, or mercy shown to another person. The quality of kindness is usually reserved for a friend or relative. When no former relationship existed, the person exercising “faithfulness” is making a conscious choice to treat the stranger like a close friend or relative. So the act of loving faithfulness is desiring to treat people like family, delighting in loving on people, and being fond of showing mercy to all. The Hebrew word for walk is figuratively applied to the characteristics of one’s lifestyle as well as one’s relationship with God. It’s much like our English word. It means to do something together or in common with another. To have companionship with. It ties two separate things together. To walk humbly means to walk in meekness, not with arrogance or boasting. So, to walk humbly with God means to share your life with God in such a way that you eat with Him, talk with Him, share with Him in a way that shows that you understand that He is God and you are not. Walking with a true estimate of who you would be without Him. Let’s admit it! It’s not always easy to act justly, especially when people aren’t acting justly to us!! However, God doesn’t put stipulations on when we are to act justly. He simply states that it’s good to act justly because we are mimicking Him. I think the hardest area for me to act justly in is in my relationships with those closest to me. I don’t always want people to see the best in my husband. Sometimes, I just want to vent about the things I dislike about him, but that’s not really doing him justice. Sometimes, when my kids are being…well, kids, I want to make their lives miserable because sometimes I feel like they make my life miserable. Sorry for the honesty! I have three teenagers. What can I say?!?! However, if I truly seek to please God and follow after Him, I need to die to myself just like He did, and do the right thing because God calls it good. It didn’t say it would always “feel” good. He said it WAS good!! And I know that He’s a lot wiser than me. Acting justly comes down to a choice. Do you have a deep desire or longing to love others like they’re your closest friend? Are you fond of showing people mercy when they’ve sinned or messed up or are in a bad predicament? Or do you steer away from those you don’t really know? Do you choose just to love on those closest to you and forget the rest? God says it’s good to reach out to, show mercy to, and love everyone. And not just to love them because He says it’s good, but to delight in it, to be fond of it, to desire it. I think it’s interesting that the verb’s definition says that it implies a strong conviction of the mind. Do we feel convicted to love others? Are we making that choice to do what God says is good? The Lord knows that I’m not always loveable and certainly don’t deserve mercy, and yet God loves me and grants me mercy because He considers it good. Lord, may we do the same in turn!! Let’s talk about the rules that God set up when He set up the tabernacle. Those rules are hard for us sometimes, just like the one rule that God gave Adam and Eve was hard for them in the garden. Why is it so hard? Because we’re arrogant. 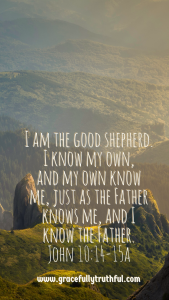 We think we know more than God or know better than Him, or we think He should do it our way. This is the exact opposite of walking humbly with God. 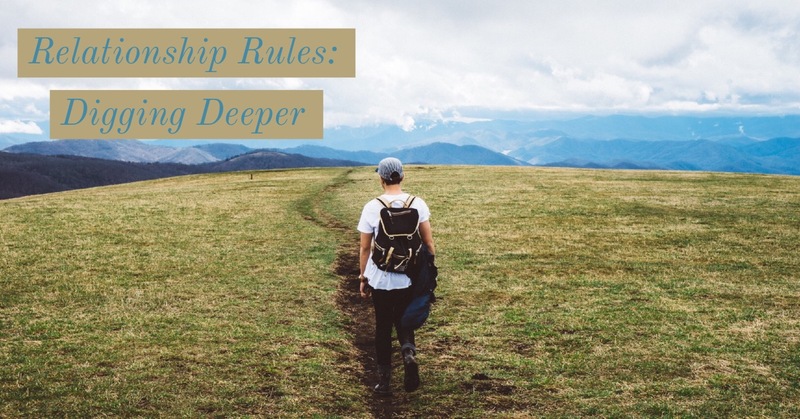 When we humble ourselves and admit that it’s hard to follow the rules, we prove to ourselves and to God that we understand our deep need for Him. We recognize that it’s impossible for us to be “good” apart from God. We need Him for righteousness and we need Him to empower us to love others!! 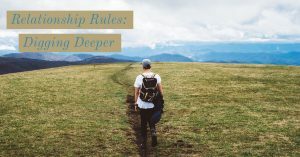 Catch up with Relationship Rules! This is Tabernacle Week One! “There is still the youngest,” he answered, “but right now he’s tending the sheep.” Samuel told Jesse, “Send for him. We won’t sit down to eat until he gets here.” 12 So Jesse sent for him. He had beautiful eyes and a healthy, handsome appearance. 1) Why did the Lord reject Saul? 2) What is the significance of the phrase, “…humans see what is visible, but the LORD sees the heart”? 3) Why was the youngest son not included in the festivities until after all of his brothers had been presented to Samuel? In just the previous chapter, 1 Samuel 15, we read of the Lord’s command to Saul to completely destroy the Amalekites. The Lord was issuing forth justice for their sneaky, from-behind attack on the Israelites as they journeyed through the Promised Land many generations previously. The Life Application Study Bible notes that “God knew that the Israelites could never live peacefully in the Promised Land as long as the Amalekites existed. He also knew that their corrupt, idolatrous religious practices threatened Israel’s relationship with him. The only way to protect the Israelites’ bodies and souls was to utterly destroy the people of this warlike nation and all their possessions, including their idols.” However, Saul did not completely destroy the Amalekite nation; he returned with their king, Agag, and many animals. When Samuel confronted Saul about his disobedience to God’s command, Saul tried to lie his way out of trouble by saying the animals were for sacrifice. This was not the first act of disobedience, though. Samuel had given instructions to Saul in chapter 10 which included going to Gilgal and waiting seven days for Samuel to come and sacrifice offerings (1 Samuel 10:8). Saul followed the instructions to the point of going to Gilgal. But he did not wait for Samuel to arrive; he sacrificed the burnt offering himself, which was against God’s laws. Only the priest was allowed to sacrifice. In short, Saul was rebellious and stubborn, and his heart was not seeking after God. He insisted on putting himself before God. Saul was tall and handsome (1 Samuel 9:2), appearing to be capable of being a great king. But he was impulsive and self-serving. As Samuel was presented with Jesse’s sons, he was struck by the physical appearance of the first and thought Eliab must be God’s anointed. Ironically, the son of Jesse who was anointed by God to be Israel’s next king was indeed handsome with beautiful eyes, as the text states. Good looks must have run in the family. But, looks weren’t what mattered; what set David apart was his heart for God. Truly, there is no clear answer to this question. One can only speculate that Jesse didn’t consider David worthy. Thomas Constable’s note from www.studylight.org suggests this may have been the case, referencing Psalm 27:10 where David wrote of his parents forsaking him. 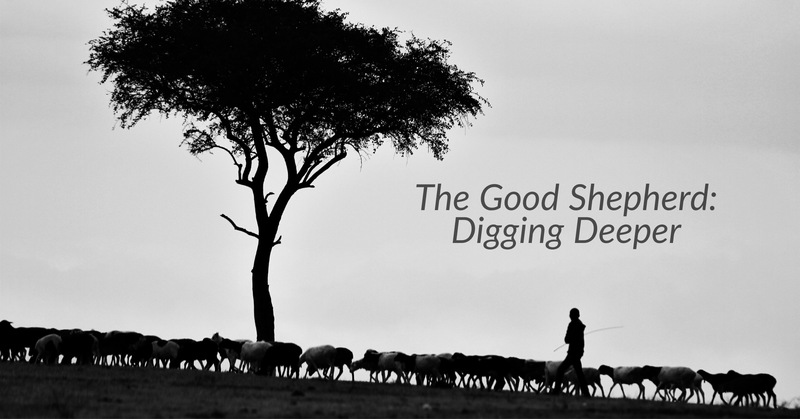 In the social structure of ancient Jewish culture, shepherds were not high society. (Think about the Christmas story, in which the angels visited the shepherds first, which was regarded with shock because they were lowest-class.) It is possible that Jesse never thought to include David because he believed a shepherd boy could never be king. The text says that Saul was rejected “because He did not believe the word of the Lord.” (I Samuel 15:22-23), and the same is true for us. When we do not believe the Lord for who He has proven Himself to be, when we choose to trust ourselves over the God of the Universe, we leave God no option but to reject us! The writer of Hebrews says it like this, “without faith it is impossible to please God.” (Hebrews 11:6) Saul was disobedient to the Lord’s Word again and again, and in that disobedience, Saul shunned the Lord with everything he had, choosing himself over God. Ladies, let us be very careful here! God does not require all your “boxes” of “good things” checked off in order to please Him, but He does require your faith. Your willingness to choose Him over yourself. In what areas are you already doing well in this? Consider some areas where you are holding onto your own way, instead of surrendering to His. As humans, it is so natural to make snap judgments about situations or people based on what we see. We don’t have supernatural power to discern the heart of someone at first glance, only the Lord does. In the case of David, the text amplifies the fact that God is all-knowing, even into the very core of someone’s heart. Though it’s so tempting to make flippant judgements about another, discipline yourself to pause, and remember that it’s only the Lord who sees and knows not only their heart, but yours. Determine to give others the benefit of the doubt in your relationships, praying for the Holy Spirit to open your eyes to new perspectives. No doubt about it, David was the least likely to become king, no matter who was sizing him up, even his own father. But how the Lord, who knows the intimacies of our hearts, delights in using the least to bring about His greatest! Jesus used 1 boy and his small lunch to feed thousands, 12 un-popular, un-educated men to launch the New Testament Church, countless other real-life stories, and He still loves to use the least! Your gifts, your talents, your heart’s passions, God has a specific intention for each of them. When we choose obedience to His Word and faith in Him, trusting that He truly does have the power to use our “least” for “much”, He will use us to bring Him glory! (Which also happens to bring us extreme satisfaction and delight as well!) Where are you struggling with your “least”? Where are you worried that you aren’t “enough” for God to use you? Pray deeply over these, surrender them in faith to the Father who sees your heart! Join the friends at the GT Facebook Community! Don’t miss out on the discussion. See all past studies in Woven! Grinning madly like I owned the world, and eyes full of adoration, I said, “I do”. Euphoric and dreamy, I couldn’t believe what we had done, we were husband and wife! I was his and he was mine! A few years went by and it was anything but euphoric and dreamy. I had been desperately looking for love when we met. Coming from a confusing and abusive childhood, I had never found the love and acceptance I hungered for so deeply, yet didn’t even realize I was missing. I tried so hard to make my husband happy. I did whatever he wanted, just like I’d seen at home growing up, but it didn’t work. I hated it. I hated myself. Plus, I kept failing. He was so angry at me; I wasn’t who he had expected. I was caught up in what I thought I needed from him, just as he was with me. We “needed” each other in the un-healthiest way. Our dependency was seeking the wrong source and truly, inside, we were very insecure people. 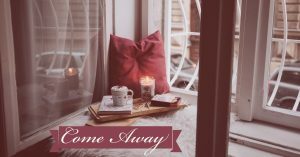 Loaded with baggage from our past, and no tools or sound wisdom on how to fix or even identify our problems, we fought, he yelled, I cried, we both felt empty and alone, despite the growing number of children in our home. I couldn’t believe what we had done, we were husband and wife…. I was his and he was mine, whether I loved that reality or not. I didn’t, neither did he. A couple years of counseling and our marriage was in a much healthier place. I was learning to value myself while my husband was learning to choose different responses than anger. We were wading through our baggage; good work was happening, but we were still emotionally intertwined. We still sought satisfaction and validation in and from the other. I had long danced around the daily discipline of spending time with God. I would do it and then stop, even though I knew it was so important. The more I talked to others about the importance of God’s word, the more convicted I became to dwell with Him each day. One day in December of 2015, I drew a line in the sand, committing to consistently be in God’s Word every single day. I wasn’t perfect in it, and many days were more “loud” than “quiet” with children clamoring, but God took my willingness and did the incredible. My world changed. My marriage changed. My passions changed. Jesus literally became LIFE to me. I saw my need for Him and I thirsted for more and more. I’d always loved God, but now, there was intimacy. Depth. Real relationship. He was teaching my heart, pouring Himself into me like I’d never known. 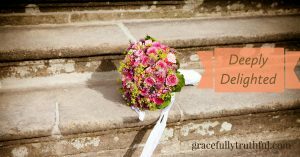 The months passed and I suddenly realized that the more I’d given myself wholly to Jesus, the less I’d looked to my husband to either make me happy or validate me. I was the Lord’s and He was mine. I was His inheritance, and He was mine. And it was sheer delight! What of our marriage? It’s flourishing. It’s rich and deep and solid and life-giving and secure and safe and precious. As we each gave our everything to God, making Jesus our sole satisfaction, abundance overflowed. He brought us into Himself and there, in the fire of intimacy with the triune God of the universe, my husband and I were bound tightly together in the Father’s unity. Delightfully satisfied, I couldn’t believe what we’d discovered; we were husband and wife, a reflection of the unity found in Jesus Christ! We were His and He was ours! We were His inheritance, and He was ours. These precious verses in Ephesians refer to Jesus forming one body from two segregated parties, Jews and Gentiles. One followed the letter of the law and one was an outsider to religion, but Paul says both are welcome at the cross of Christ! His sacrificed body was more than enough to break down the walls of pride and prejudices. God’s heart was for unity and oneness. Though targeted to an audience of dissenting Jews and Gentiles, with hurts and misunderstandings, these beautiful truths are here for us as well. Our relationships. Our friendships. Our marriages. And most importantly, these verses should focus the lens through which we view our relationship with God. Our everything is found in relationship with Christ. Our validation, our satisfaction, our deepest needs, and the longings of our hearts, all are bound up in the full gospel of Jesus Christ! Go deeper, run headlong into the ocean of His love, seek Him out like your life depends on it, and find rich inheritance for real, everyday life. Thanks for joining us today as we journeyed into Inheritance Week Two! Don’t miss out on the discussion below – we’d love to hear your thoughts! Here’s a link to all past studies in Inheritance! I have a love/hate relationship with celebrations involving gifts. I love the celebrating and have so much fun planning parties, cakes, shopping for decorations, and learning exactly what will make each person feel loved and special. I live for that “ah ha!” moment of pure pleasure when the receiver opens a well planned for gift. I consider it a bonus if the recipient tears up and I feel like I won the World Series if tears are actually flowing. But for a girl who puts a lot of self-imposed pressure on gifts, I’m floored when I have to buy for someone I either don’t know very well, or worse, I know extremely well, but they have everything! My husband’s birthday is right next to Memorial Day weekend most years, and of course, Father’s Day is just a couple weeks after that. And then Christmas! Oh the pressure!!! The Christmas tree is barely put away when I’m already looking for ideas on how to love on him in May and June. I’ve tried it all, sisters. From the super manly toolboxes, tools, and even swords, to the relational date coupons, massage lotion, or card games, to the playful remote control toys and stunt kites, and the romantic with overnight getaways. You know which one got the best reaction? Tea. He liked one specific kind and couldn’t find it in Kansas City. I talked to store managers all over the country to track it down and ended up having a case shipped to him straight from their headquarters. It meant so much because it told him that I knew him, I loved him, I wanted him, and, it was something he couldn’t get himself. Just buying a bottle of New Leaf tea would be satisfying, but having his wife know what he liked and search all over to find it for him, that’s something he couldn’t order from Amazon. God is much the same way when it comes to receiving a gift. He’s Lord of creation, Author of humanity, the God who hung the stars and spins the planets; everything is His, except for one thing, human souls. True, they were given by Him, but given at the cost that we may decide to spend what we’ve been given on ourselves rather than put it safely back in the Author’s hands in order to enjoy mutual delight. The most precious of all creations, the pinnacle of our existence, the very best of God’s handiwork worth incomprehensibly more than everything else in all creation, and God turned it over to us entirely. I was young, probably 7 or 8, and it was a simple thing: a kitchen spoon rest. It was glass, exquisitely hand painted, and it had been my grandmother’s, but now it had been handed down to my mom. I saw my mom’s disappointment when she found out. I knew it had been important to her, and now there it was, in too many pieces to count, in the trash. Guilt washed over me and sat churning in the pit of my stomach. My mom didn’t yell or get upset, but I do remember her sad face and teary eyes as she cleaned up the mess. Later when she left for work, I scoured through the trash, carefully picking up every shard, wrapping them in a towel and hiding it in my closet until I could think of a way to glue it back together. Weeks went by and I forgot about it completely until my mom was cleaning out my closet. I can still hear her voice as she asked me what it was. 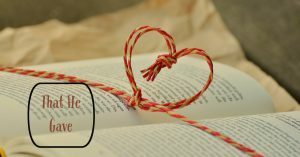 I trembled with sad regret as I recalled the emotions of that day, “I saved it because I wanted to fix it and give it back to you and then I couldn’t find any glue and I didn’t have any money…” I rambled on as my voice dropped. Again with tears, but I’m pretty sure they were from a different emotional source. She hugged me and told me I was much more precious than an old spoon rest. So the Father God tenderly creates our souls, filling it with all good things that He knows we will delight in. Pleasure in running, cooking, working with our hands, making music, and crafting. Fulfillment when we love others, delight when we watch another’s eyes come alive with joy, tenderness, a welcoming spirit, a compassionate heart, encouragement, generosity, and all manner of other abilities and gifts. The loving Abba crafted each soul, designed us uniquely, making a space in each of us to long for a relationship with Him, and then relinquished His invaluable creations entirely to us as souls. And too often, we break and abuse them, just like I did with my mother’s spoon rest. The Lord who has everything? We are His rich inheritance. And oh the delight when we turn our souls over to Him! Rather than a loss we are giving up, it’s a fullness we find! Like running through an endless meadow of soft, luscious grass and daisies blowing in the tickling breeze, with laughter effortlessly flowing from our lips. So is our soul when we give it to our Maker. No fear, no regrets, no judgment for all the ways we’ve abused His inheritance before now, just sheer delight. Our soul’s solitary soul mate. by giving the Lord of all, His Inheritance. Curious as to how one goes about giving the Lord His inheritance of you? Email us!